We manufacture a huge range of wheel coverings and tyres. 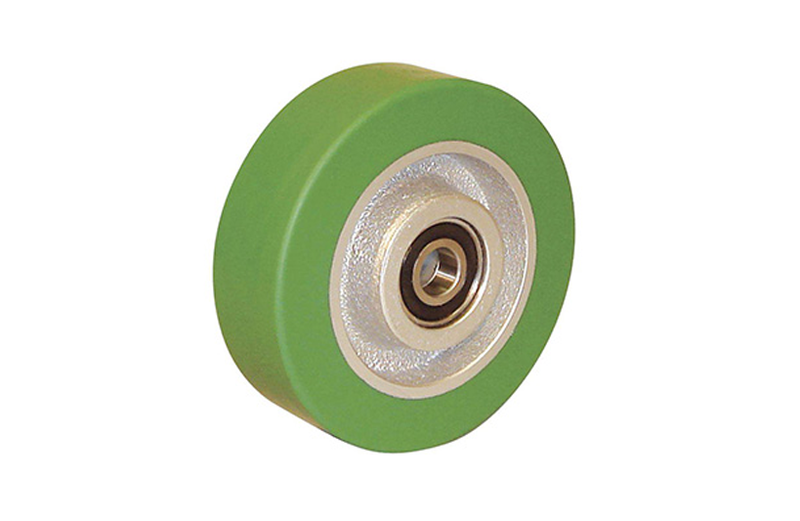 The wheel coverings are mainly used in high load applications in process industries such as steel strip, timber, laminates and wire making as well as mechanical applications. We can collect the worn wheels from the customer (geography dependent), remove the old covering, shot blast, bond and recover in polyurethane before machining or grinding to size. Our range includes a fantastic selection of pallet wheels and castor wheels as well as tyre recovering service to recycle customers existing wheels. We utilise our experience of processing and knowledge of material performance to offer customers a professional service from material specification through product and tooling design to finished item.